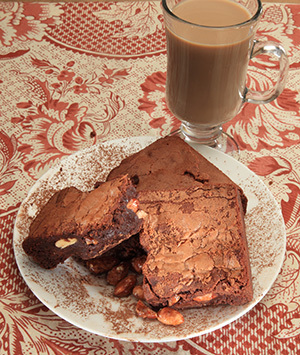 Sweet crunchy toffee give these Extra Fudgy Brownies their signature taste. A perfect mid-afternoon treat... spoil yourself. Almonds, toasted and coated with sweet toffee, give these Extra Fudgy Brownies their signature taste. A perfect mid-afternoon treat... spoil yourself.